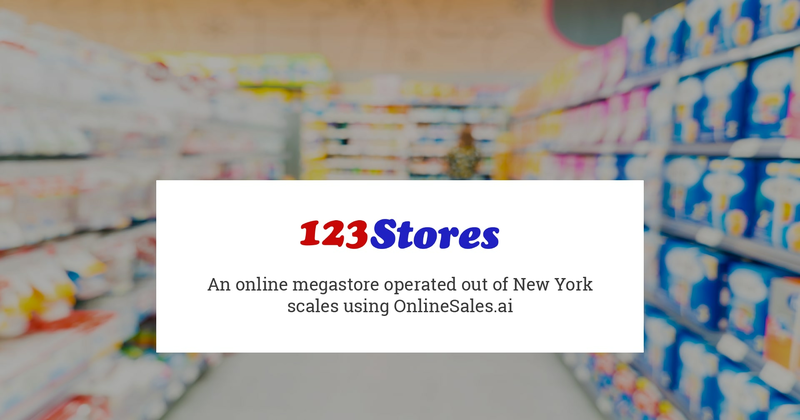 123Stores signed up with the OnlineSales.ai platform to manage and optimize their massive product catalog and inventory. OnlineSales.ai aggressively advertised campaigns on Google PLA, scaling 2.5X on budgets while reducing costs by 183% in 7 months. Ads were targeted across USA. 123Stores needed campaigns built and managed for over 100,000 products. Identifying best segments across a large chunk of campaigns was proving to be a challenge. Feeds saw constant disapprovals due to missing or lengthy attributes, while revenue tracking was difficult. As we started with limited budget , we launched the first set of campaigns for high margin categories only, the successful categories were then aggressively bid upon. Since each category had multiple products, differential bidding helped immensely. It was noted that high AOV categories clinched better conversions from desktop than mobile. Campaigns were optimized accordingly, ensuring we optimised costs and drove higher. Conversions in turn reducing CPLs. Category-based ad scheduling while bidding on the most lucrative categories saw a massive spike in conversions over 70% were driven during the identified peak hours. Campaigns were fine-grained at an item level, resulting in reduced costs as we reached out to the most relevant set of audience and this further allowed us to experiment with newer categories. Separate campaigns were created and bids for bestsellers were optimized based on location. OnlineSales.ai feed audit algorithms helped us in identifying the areas of improvement in the feed and proactive optimisations on the same helped avoiding feed disapprovals. Merchant promotions and discounted & categories were pushed aggressively, all leading to a fantastic success story for 123Stores. 123Stores looks to scale with Google Display and Remarketing campaigns, while expanding across new categories on Google Product Ads.